João Filipe Ferreira is a Lecturer/Senior Lecturer in Computer Science and a researcher at the Computational Neuroscience and Cognitive Robotics Research Group (CNCR). He is the Strand Leader for the undergraduate modules Computer Technologies & Maths (ITEC10261, Technologies strand) and Essential Skills (ISYS10301, Numeracy strand), and Module Leader for the undergraduate module Systems Software (COMP20081). João Filipe Ferreira joined NTU in 2018 as a Lecturer/Senior Lecturer. He was an Invited Assistant Professor from 2011 to 2017, and an Invited Teaching Assistant in Electrical Engineering and Computers at the University of Coimbra from February to September 2011. He was a Probationary Teaching Assistant (Assistente Estagiário) in the same area and at the same university from 2002 to 2004. He received his Ph.D. in Electrical Engineering from the University of Coimbra, specialisation in Instrumentation and Control, in July 2011. He received the M.Sc. degree in Electrical Engineering from Faculty of Sciences and Technology, University of Coimbra (FCTUC), specialisation in Automation and Robotics, in January 2005. He received his Electrical Engineering B.Sc. degree (5-year course, specialisation in computers) from the same faculty, in July 2000. He has been a staff researcher at the ISR since 1999 (integrated member since 2011, research group manager in 2016), and a member of the IEEE and the IEEE Robotics and Automation Society (RAS) since 2012 (Officer in the Portuguese Chapter from 2014 to 2018 and member of the Technical Committee on Cognitive Robotics, T-CORO, since 2015), the IEEE Life Sciences Community since 2013, the IEEE Systems, Man, and Cybernetics Society since 2015 and the IEEE Computational Intelligence Society since 2015. He is also heavily engaged in technology transfer, namely in the fields of digital electronic systems design, instrumentation and control, in close collaboration with the Laboratory of Automatics and Systems of the Instituto Pedro Nunes (IPN-LAS), Coimbra, Portugal. He was a senior consultant for Wexcedo, an SME whose mission includes the development of innovative solutions for smart houses and the “internet of things”. João Filipe Ferreira is an integrated member of the Institute of Systems and Robotics (ISR), a research institute of the University of Coimbra, and also a member of the Computational Neuroscience and Cognitive Robotics Research Group (CNCR) at NTU. The CNCR is well equipped with state-of-the-art computational and electronics design and test equipment. Of note is a 500 core HPC cluster; and a range of high specification robots, including an iCUB, Sawyer, and Robotniq. Robotics research is facilitated with a 75m2 robot arena with VICON tracking system. 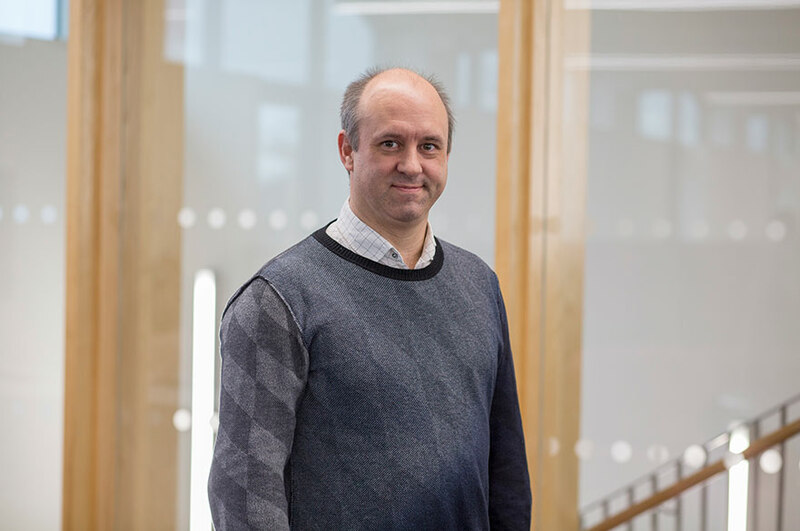 His current main research interests are spread out through three broad scientific themes: Artificial Cognition, Probabilistic Modelling and Autonomous Systems. Within these themes, the following topics receive his main focus: bioinspired perception, navigation and cognition, autonomous robotics, artificial perception and sensing for field robotics in precision forestry and agriculture, social robotics and human-robot interaction. However, his research interests are not limited to these subjects: over the years, he has also produced contributions in medical image processing and 3D scanning. He is the main author of the 2014 textbook “Probabilistic Approaches for Robotic Perception” (Springer STAR series). He is a member of the IEEE Robotics and Automation Society since 2012 (RAS – Executive Committee member of the Portuguese Chapter from 2014 to 2018), and a member of the IEEE RAS Technical Committee on Cognitive Robotics since 2015. He has been involved in several FP6, FP7 and H2020 European projects developed in consortium over the past few years and principal investigator (PI) of several nationally-funded projects. João Filipe Ferreira was the coordinator of two undergraduate courses and a doctorate studies course, having lectured about 2,500 hours to over 1,200 undergraduate and 30 graduate students since his first lecture. Following an integrated approach to teaching and research, he has also supervised 2 undergraduate students, 8 M.Sc. students, 3 Ph.D. students and a post-doctoral fellow, as a dissertation advisor, as a temporary supervisor during a visiting spell, or as a principal investigator. He was also a member of 12 M.Sc. and 1 Ph.D. (thesis proposal) examining committees. Artificial Attention for Human-Robot Interaction: Despite remarkable advances in recent years, cognitive robotics is still lacking an understanding of the essential skills needed for the implementation robots capable of long-lasting interaction with humans in real-world applications. One of the most fundamental skills known to underpin the human ability of engaging in long-term interaction with other agents is perceptual attention, which allows for conveying and inferring intention through redirection of the senses (instilling a sense of non-verbal interaction) and the building of an internal model of the interlocutor's attentional stance, respectively. Potential projects include robust gaze direction estimation, attentional modelling, shared attention modelling, attentional processes in memory management and object of interest estimation in interaction. Attention and Active Perception Supporting Robot Imitation Learning from Multi-Modal Human Demonstrations: Imitation learning in robots is when a robot is presented with a demonstration of a skill that it should learn to perform on its own. One-shot and few-shot learning is the act of learning to generalise from one or a few number of training examples per class, respectively. Currently, one- and few-shot learning are very challenging problems -- a probable reason for this is that scene task-relevance dictated by both the robot's knowledge of the world and the demonstrator's attentional stance is not explicitly being taken into account in what is clearly a shared attention scenario. Potential projects in this topic involve fundamental research on this issue, namely on how attention can be used to improve the performance of deep learning-based algorithms for robot imitation learning. Perception Architectures for Agricultural and Forestry Robotics: Despite many advances in key areas, the development of fully autonomous robotic solutions for precision/smart farming and forestry is still in a very early stage. This stems from the huge challenges imposed by many factors, in particular robotic perception. Artificial perception for robots operating in outdoor natural environments has been studied for several decades. Nevertheless, despite many years of research a substantial amount of problems have yet to be robustly solved. Perception in agricultural and forestry robotics faces many challenges imposed at sensor-level by environmental conditions (trees and relief, weather conditions, dust, smoke, etc. ), the homogeneity of natural landscapes, the diversity of natural obstacles to be avoided, and the effect of vibrations or external forces such as wind, among other technical challenges. There are also many other challenges that go beyond sensing, including safe operation (for both the robot and other living beings), multi-scale sensing and perception that allows the robot to tackle broad-range tasks such as navigation but also localised precision tasks, and covering specialised, expert-informed tasks necessary to achieve the greatest level of autonomy and usefulness possible. Potential projects in this topic include semantic segmentation of forest and farm scenes, development of robust, reusable and flexible perceptual architectures, and cooperative perception solutions for swarm robotics in the field. Opportunities to carry out postgraduate research towards an MPhil / PhD exist and further information may be obtained from the NTU Graduate School. If you are considering to study for MRes or PhD in any of the topics above or other related topics please do not hesitate to get in touch. To date, João Filipe Ferreira has been awarded nearly 350K£ in research grants overall. FERREIRA, J.F., LANILLOS, P. and DIAS, J., 2015. Fast exact Bayesian inference for high-dimensional models. In: 2015 IEEE/RSJ International Conference on Intelligent Robots and Systems (IROS 2015): Workshop on Unconventional Computing for Bayesian Inference, Hamburg, Germany, 28 September 2015. LANILLOS, P., FERREIRA, J.F. and DIAS, J., 2015. Multisensory 3D saliency for artficial attention systems. In: 3rd Workshop on Recognition and Action for Scene Understanding (REACTS), Valletta, Malta, 5 September 2015.